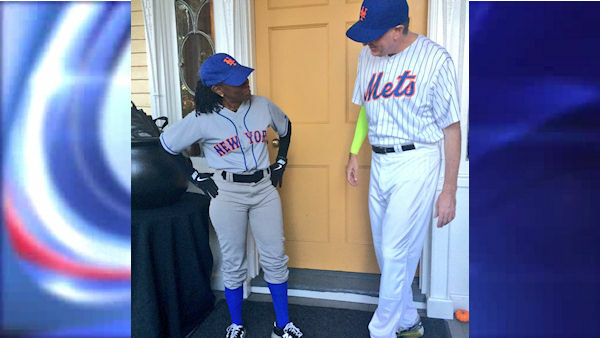 UPPER EAST SIDE (WABC) -- Mayor Bill de Blasio and First Lady Chirlane McCray showed their support for the New York Mets at their annual Halloween party. They welcomed hundreds of children and their parents to Gracie Mansion for a Halloween celebration. The party included face painting, storytelling and a magic show. There were some very creative costumes on the children who all seemed to have a great time.